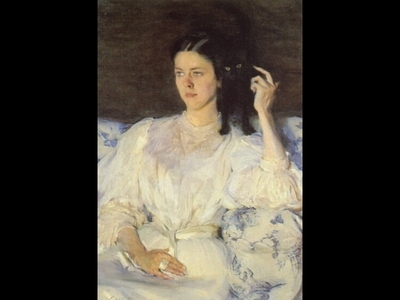 Cecilia Beaux (May 1, 1855 – September 7, 1942) was an American society portraitist, in the nature of John Singer Sargent. She was a near contemporary of better-known American artist Mary Cassatt and also received her training in Philadelphia and France. Her sympathetic renderings of American ruling class made her one of the most successful portrait painters of her era.